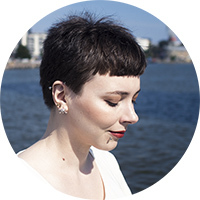 As someone who browses Finnish eco boutiques I knew Mia Höytö Cosmetics and Globe Hope clothing and accessories by their name, but not much else. Mia Höytö's style was always top-notch, high end and luxurious eco beauty, which I particularly like. I was in the false understanding that her line was getting discontinued, so I felt hesitant to try more products - c'mon who wants to fall in love just to get their heart broken? But on the contrary - it became a part of Globe Hope as Globe Hope Cosmetics. Today I’m talking about her Valo Eye Cream** but more reviews will come! Globe Hope Cosmetics is an organic brand, made in Helsinki, Finland. The products are same as the original Mia Höytö line, but beautifully rebranded as a part of the Globe Hope family. Globe Hope is a sustainable Finnish accessory brand from Nummela city. They use recycled or surplus materials to create beautiful and durable bags and pouches. The cosmetics line was founded from Mia’s interested for organic food that grew into a passion for natural skincare. As many cosmetic brand creators, she found it difficult to find products that worked for her, so she took up the challenge to create her own line. The production is in Finland to guarantee excellent quality and ingredient purity. 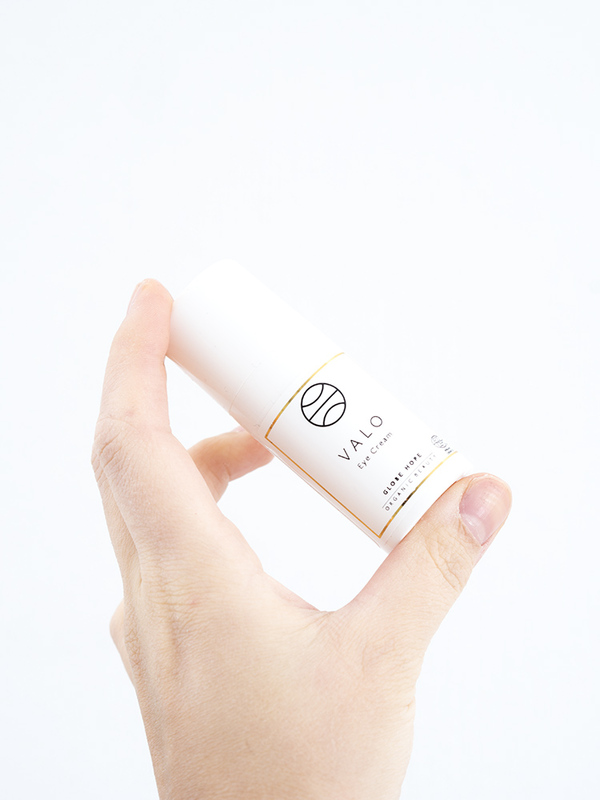 ‘Valo’ means ‘light’ in Finnish, which is a fitting name for an eye cream. The cream promises to be a light but hydrating and eliminate signs of puffiness. Other suggested uses are facial massaging or using Valo as a mask by pumping extra cream and applying on the skin. Fragrance free and certified by ECOCERT Greenlife. Valo comes in 15 ml opaque pump bottle and retails for €38.10 / ~$44.15. I’m not a big advocate of using specific eye creams unless the eye area has specific concerns - such as puffiness. I usually apply my regular moisturizer near the eye area without suffering from puffy eyes, so I can’t really report back if Valo has helped preventing that. The darkness under my eyes is most likely genetic and gets worse from lack of sleep.. there’s nothing except makeup that can erase that. I think Valo is a nice, solid eye cream: no fragrance, hygienic pump and elegant package design. The pump gives an adequate amount of product and it nicely gets absorbed when patted around the eyes. Despite containing some organic oils, the feel is not greasy and sits well under makeup. I even used this as a “primer” for my clients when I was doing a makeup gig. That I like about the cream is the very clean INCI list and a reasonable price if your eyes really suffer from lack of moisture and dehydration. Aqua, Centaurea Cyanus Flower Water*, Cetearyl Olivate, Sorbitan Olivate, Glycerin, Prunus Amygdalus Dulcis Oil*, Olea Europaea Fruit Oil*, Helianthus Annuus Seed Oil*, Sambucus Nigra Flower Extract*, Butyrospermum Parkii Butter*, Cera Alba*, Hippophae Rhamnoides Oil*, Aloe Barbadensis Leaf Extract*, Avena Sativa Kernel Extract*, Tocopherol, Citric Acid, Xanthan Gum, Sodium Dehydroacetate, Sodium Benzoate, Lactic Acid, Potassium Sorbate. After water, this eye cream is packed with black elder flower extract to prevent dark circles and puffiness. I couldn’t find very much scientific info on this, but at least elder flower has skin conditioning properties. Next there are emulsifiers, moisturizing glycerin, sweet almond oil, olive oil and sunflower seed oil. This formula contains shea butter, which I know some people can’t tolerate, but personally I don’t find if comedogenic on me. There’s hydrating aloe and one of my favorite ingredients - oat kernel extract, which is soothing and anti-inflammatory. I’d like to see more antioxidant rich ingredients in this formula, perhaps more complex plant extracts in the base. Something to make it extra beneficial for mature skins to prevent signs of ageing. Right now I find the eye cream hydrating and moisturizing with many oils and humectants, but not much else. While I enjoy Valo, it doesn’t blow my mind. Well, I don’t think there is an eye cream that would. So far January Labs’ and Exuviance’s eye creams have been excellent, but they’re both significantly more expensive. It simply isn’t possible to cancel my dark circles or totally prevent fine lines, but if I get a chance to give my eye area little TLC, I’m up for it. Globe Hope Cosmetics Valo is for someone who appreciates natural, eco certified ingredients mixed with elegance, but doesn’t want to break the bank. Perhaps most suitable for younger audience; if you don’t have very visible signs of ageing and like wearing makeup, this could be a potential eye cream for you. Have you tried anything from Globe Hope Cosmetics? **This product was kindly gifted for consideration.